Hope to see you in May in Santa Fe and Brooklyn! 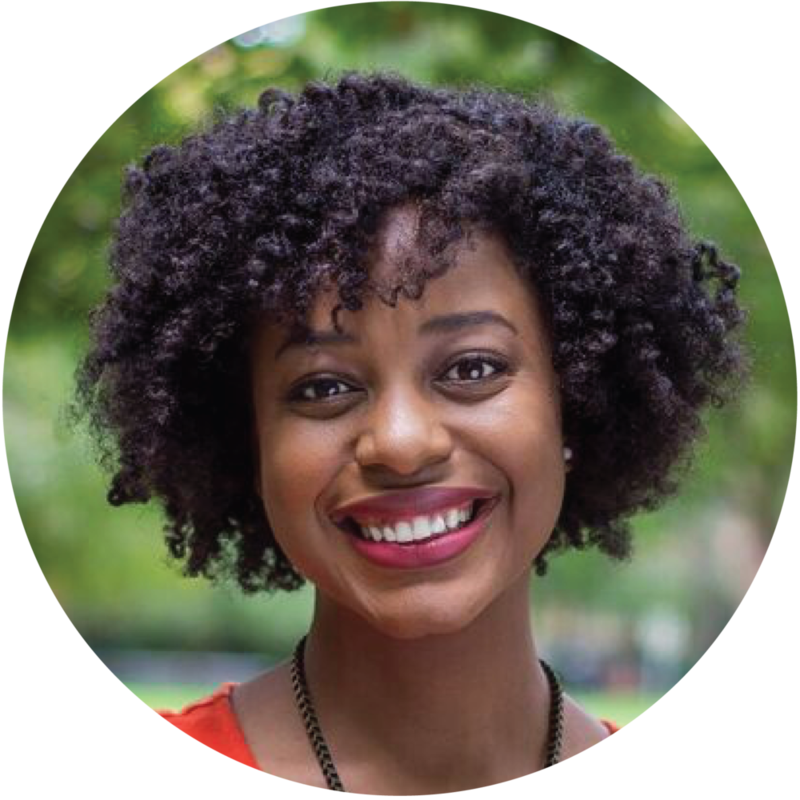 I’m excited to announce that I will be speaking at BlogHer in Brooklyn on May 8th! 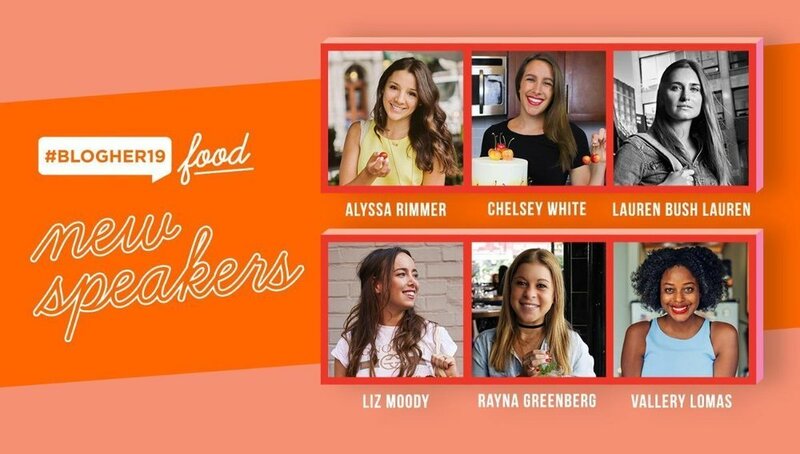 There’s an amazing lineup of women, and it will be a full day of inspiration, learning, and of course food! ALSO, we are getting closer and closer to the annual IACP conference in Santa Fe! This year’s conference runs from May 16th - May 19th. 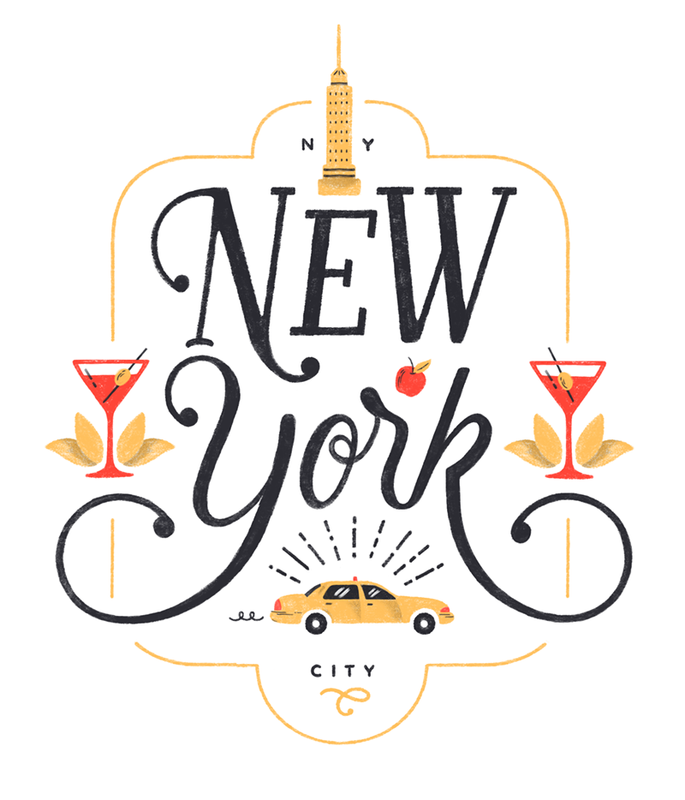 I attended last year and in a few short hours, I met some amazing cookbook authors, bloggers, and other culinary professionals. I made some amazing industry connections in such a short period! I hope to see some of you there! Olive oil is the new butter. There, I said it. In baking, and especially the “chocolate chip cookie” world, we always seem to be looking for the new, better thing. We’re browning butter, roasting sugar, aging dough— any and every tip or trick to get a better tasting cookie. And it’s not just about taste—it’s also about texture. Which brings us back to olive oil. Here’s the thing about really good olive oil—its got this subtle, floral flavor. 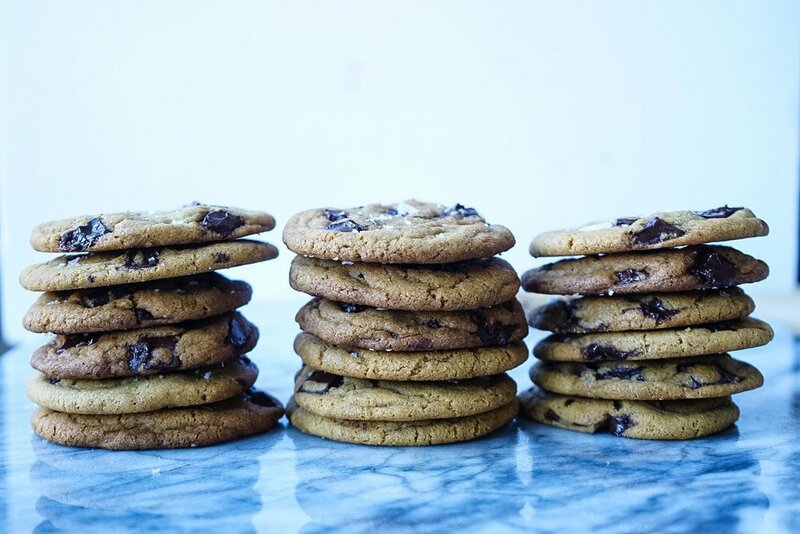 It’s the exact type of flavor that you want to impart to a cookie to elevate it. 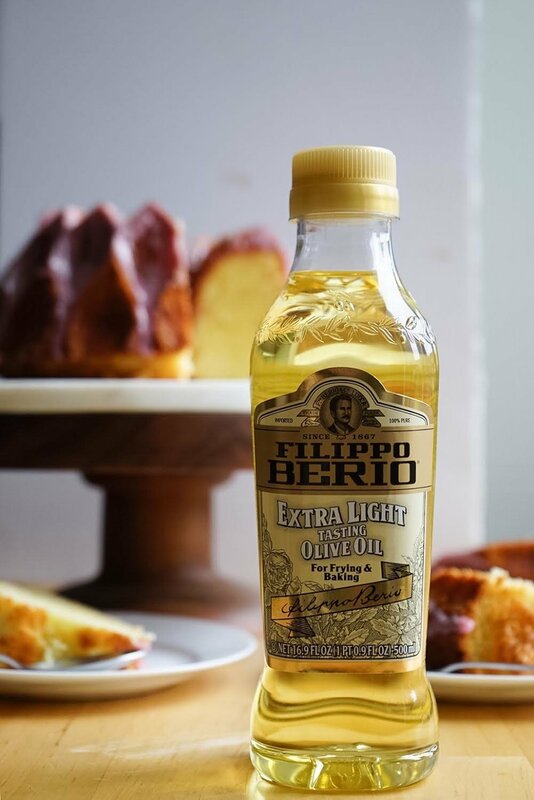 I love the Filippo Berio Organic Extra Virgin Olive Oil—it’s delicate and delicious (did I mention it’s organic?!) 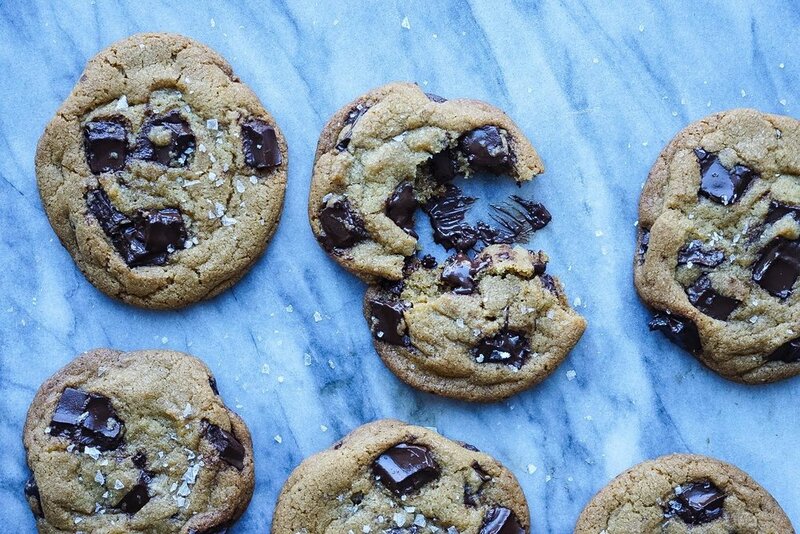 The oil also affects a cookie’s texture. Whether you’re #TeamChewy or #TeamCrispy, you can use olive oil because it gives you the best of both worlds! Crispier edges with a chewy center. And what about butter? Well, let’s not throw out the baby with the bath water. Butter still has a place in these cookies. The chewy center part? Yeah, that’s from the butter. Plus, we’re all used to the taste of butter. The butter and olive oil live in harmony in this cookie. And the best part of this cookie? It’s easy. Like, really easy. If you can make a cookie, you can make this cookie! ;) . Combine olive oil, butter, brown sugar, and granulated sugar in the bowl of a stand mixer. Mix on medium to combine. Once homogenous, reduce the speed to low and add the egg and vanilla. Mix until combined. In a large bowl, combine flour, baking powder, baking soda and salt. 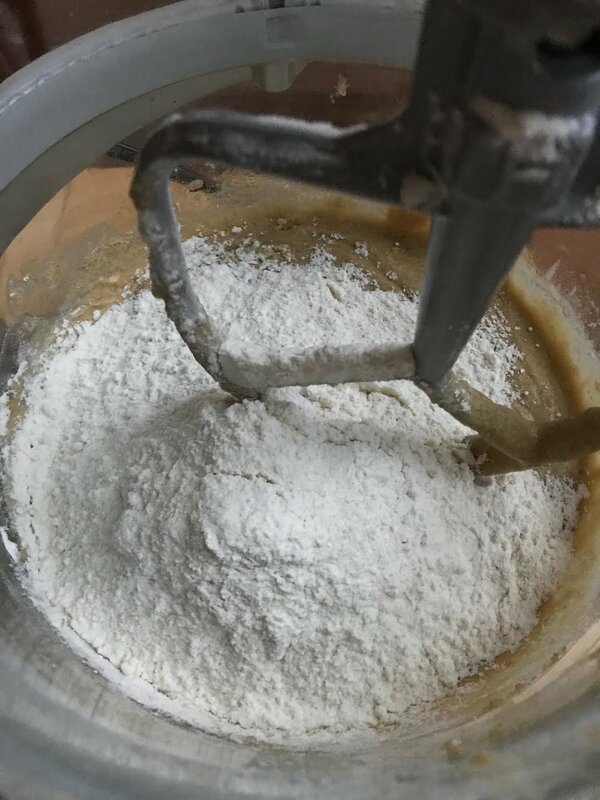 Add dry ingredients to mixer and mix on low until barely combined. 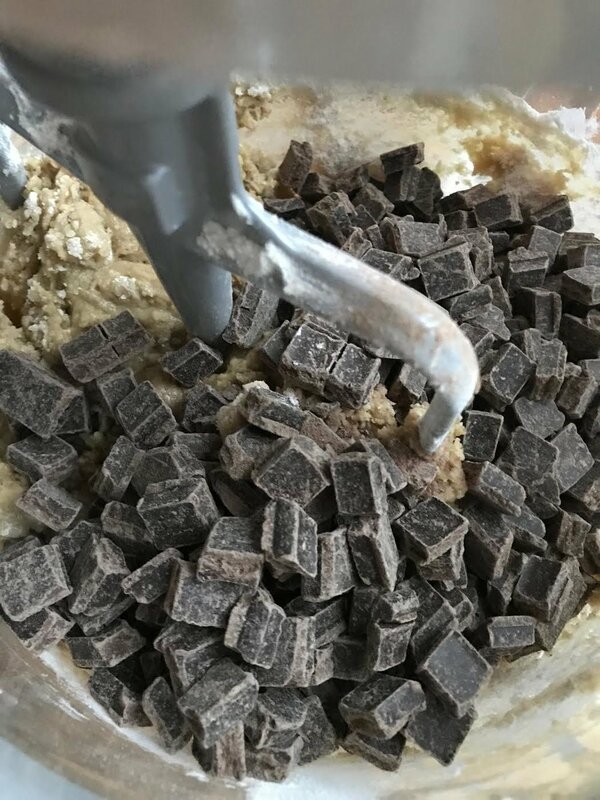 Add chocolate chips or chunks and mix for a couple seconds. Remove the bowl and finish combining with a wooden spoon or sturdy spatula. At this point, you can bake immediately, OR let the dough “mature” in the refrigerator overnight. if baking immediately: preheat oven to 350F. Line two baking pans with parchment paper. Form 18 balls of dough, about 40 grams each. Place 9 balls of dough on each sheet. Bake at 350 for 12-13 minutes. Remove and let cool on a cooling rack. Sprinkle with flaky sea salt, if desired. If “maturing” or “aging” the dough: Place dough in refrigerator overnight, or up to three days. Then, proceed by following the “baking immediately” instructions above. Adapted from cookie maven Displaced Housewife. I made Lemon Curd with Buzzfeed's Goodful. I’m always a little wary to post rich, buttery baked goods and desserts in January. People seem to be shouting from the rooftops— or at least social media, “New Year, New Me!” I love to bake, but I don’t want to mess up anyone’s 2019 diet plan! But it’s January, and it’s COLD and snowy and perfect baking weather! I may live in New York that gets its fair share of wintry weather, but the city isn’t prepared for “feels like 2 degree" weather. So of course, I spent the past weekend snuggled up inside—baking. 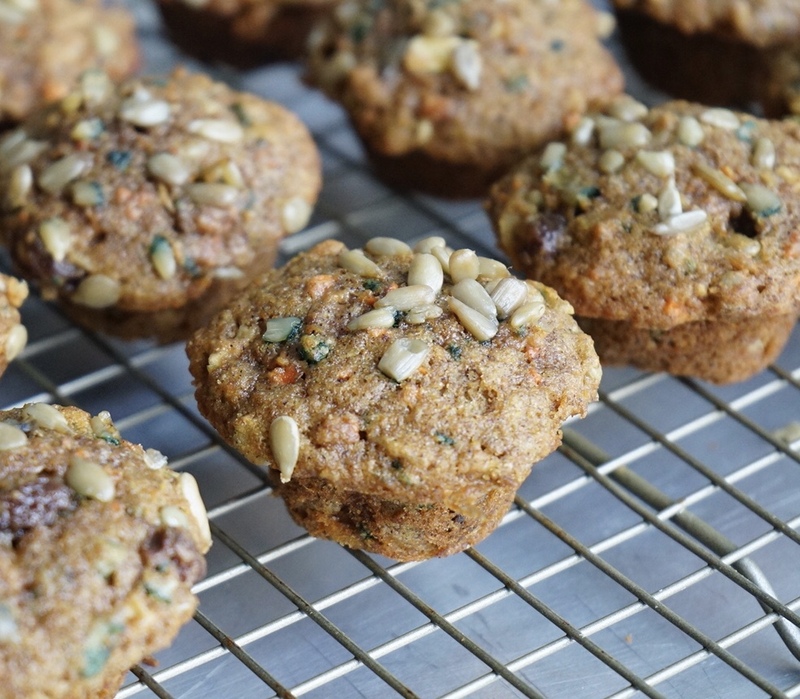 I adapted a recipe that a neighbor shared, and I came up with these health-ier mini muffins. 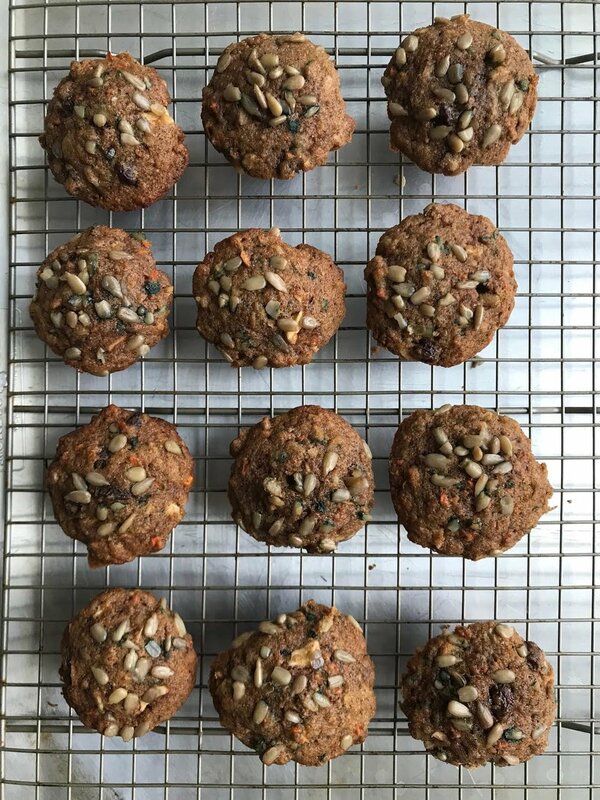 They are healthy-ish because they are full of good stuff— carrots, apples, and sunflower seeds, and they use all wheat flour and coconut oil, making each muffin hearty and nourishing despite their “mini” size. They have less sugar than other muffin recipes, but the plumped raisins add bits of sweetness (naturally-occurring sugar!) throughout. Feel free to swap out half (or all) of the sunflower seeds for chopped walnuts or sliced almonds. I also topped the muffins with sunflower seeds to give them flair while adding crunchy texture. 1/3 cup sunflower seeds, plus more for sprinkling on top. Preheat oven to 375. Line a mini muffin tray with 24 muffin cups. Plump the raisins: place the raisins in a small bowl. Cover them with hot water. Let them soak while preparing the remainder of the muffin batter. Whisk together the flour, brown sugar, baking soda, cinnamon, and salt in a large bowl. Stir in the grated carrots, apples, coconut, and seeds. In a separate bowl, whisk together the eggs, coconut oil, orange juice and vanilla extract. Add to flour mixture and stir until combined. Add the drained raisins and stir them in. Scoop the batter into the prepared pan. The batter should come to the top of the pan. Sprinkle sunflower seeds on top. Bake until a toothpick inserted in the center comes out clean, about 12 -14 minutes. Remove from oven and allow to cool in the pan for 5 minutes. Then, remove the muffins and allow them to cool on a cooling rack. Enjoy them as is, or slather with butter, jam or cream. These can be stored for up to three days in an air tight container. I was pumped when I got an email from People Magazine asking me to contribute a recipe for their holiday cookie spread. They wanted a festive cookie, so I decided to spruce up my traditional madeleine recipe. The results were delicious and truly beautiful. I’m used to doing my own styling and shooting—this opened my eyes to how amazing a simple recipe can be presented when there’s a team of super talented professionals behind it! I decided to make my own recipe today. I altered it slightly because I can’t help myself. I had a bowl of chopped, toasted hazelnuts just sitting on my table that were leftover from some rugelach I made. When I dunked the madeleines in the melted milk chocolate, my hand just went and dipped them in the chopped hazelnuts! These tasty little treats can be whipped up pretty quickly. Most madeleine recipes require that the batter rests, but not this one. Just mix the orange zest, sugar and eggs until frothy. Then, fold in the dry ingredients, and stir in the butter. They bake in a 400 degree oven for 8-10 minutes, and once they’re cool, you can dunk them in melted milk chocolate. These madeleines are a treat all on their own. No hazelnuts needed. The chocolate isn’t even needed. If you make them, make a few with chocolate and some without and see which you like best! 1. Grease 2 (12-mold) madeleine pans or mini muffin pans with softened butter; dust with flour. Chill in refrigerator until butter hardens, about 10 minutes. 2. Meanwhile, preheat oven to 400°F. Microwave 3/4 cup butter in a small microwavable bowl on HIGH until melted, 30 to 45 seconds; set aside. 3. Sift together flour, baking powder, and salt in a medium bowl. Beat eggs, sugar, honey, and zest with a stand mixer fitted with a whisk attachment until pale and frothy, 2 to 3 minutes. Fold flour mixture into egg mixture using a spatula until just combined. Add melted butter; stir until just combined. 4. Spoon batter evenly into madeleine molds, filling each three-fourths full. Bake until golden, 8 to 10 minutes. Cool in pans 5 minutes; transfer to a wire rack to cool completely, about 30 minutes. 5. Microwave chocolate in a small microwaveable bowl on MEDIUM (50%) until melted, 11/2 to 2 minutes, stirring every 30 seconds. Dip halves of cooled cookies into chocolate. Transfer to a plate lined with parchment paper; let chocolate set, about 30 minutes.